On this day, 15 April, in 1930 Brig.-Gen. Sir Charles Martel, CB and his wife Lilian, of Queenswood, Blackfen visited the home of Surgeon Rear Admiral Sir William Pryn of 3 Christchurch Road, Sidcup. Martel signed Pryn’s visitors’ book and indicated that the day on which the Martels were themselves ‘at home’ to visitors was Saturday. In the early 1900s our area was a popular place to live for retired military families. I am always fascinated by the networking and friendships between them! On 18 March I’ll be giving a talk at Bexley Local Studies and Archive Centre on ‘Who’s Who of Bexley’. 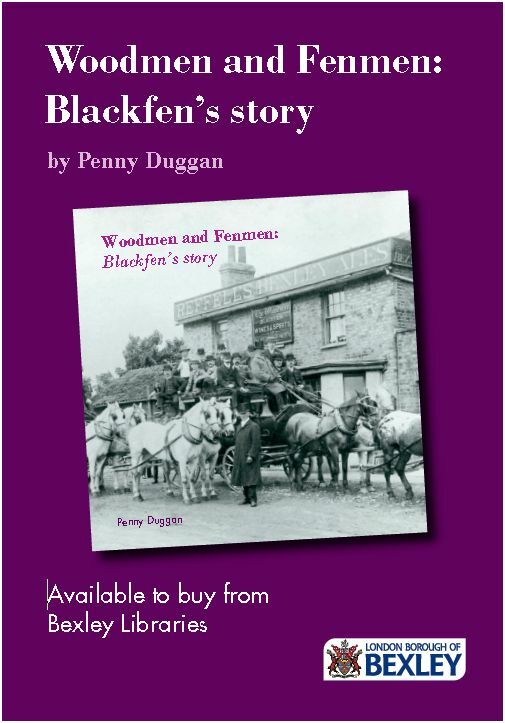 Of course I will be including some of the names from Blackfen who have been in Who’s Who. Sir Vesey Holt, KBE, banker, lived at Queenswood, Blackfen from 1868 and later lived at Mount Mascal in North Cray. There is also Brig.-Gen. Sir Charles Martel and his son Lt-Gen. Sir Giffard Martel who both lived at Queenswood, Blackfen from 1910. Mike Rann lived in Blackfen as a child but emigrated to New Zealand and was Ambassador of Australia to the UK 2012-14. Audrey Slaughter lived in Blackfen as a child and became a writer and magazine editor. George Wallace, MP, later Lord Wallace of Coslany lived in Blackfen and it was his intervention that saved Queen Mary’s Hospital from closure in 1948. And Rev. David Silk who started his career in Blackfen went on to become Bishop of Ballarat in Australia. To book a ticket and for more information about events at Bexley Local Studies and Archive Centre, see http://www.bexley.gov.uk/archiveevents. Giffard Le Quesne Martel, born in 1889, lived at Queenswood House, Blackfen after his family moved there in 1910. After attending the Royal Military Academy, Woolwich he was commissioned into the Royal Engineers. He served in France from 1914 and took an active interest in the development of tanks. After the war he lived in Camberley, Surrey and he built a workshop in his garden where he built a prototype one-man tank which others later developed into the British light tank and machine-gun carrier. He also served in the Second World War in France, India, Burma and Moscow. He was described as “a remarkable officer and constitutionally fearless… a natural bruiser… with a deep hoarse laugh”. It was when he was back in London in 1944 that he lost an eye in the bombing of the Army and Navy Club. He died in 1958: he was found dead, shot in the head, with the shotgun near the body. His parents, Brig.-Gen. Sir Charles Martel and Lilian Martel, lived at Queenswood until 1931, when the estate was sold to the housing developer, C. R. Leech.